Hello :) I hope you are enjoying a little bit of spring sunshine wherever you are. 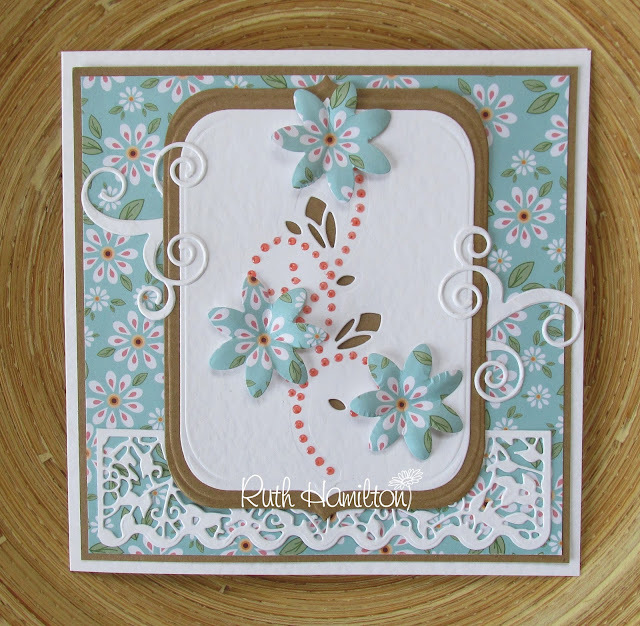 My card today has been made using the recent Tonic Studios Entwined Dot and Drop die with Strawberry Coulis Jewel Drops on top. The flowers have been die cut using the Sunburst Gazania die set and I've added flourishes from the same set..The background shapes were made with the Sunray Venus Layering dies and the white patterned die cut at the base has been made with two of the dies from the Tangled Terrace Window Box die set.